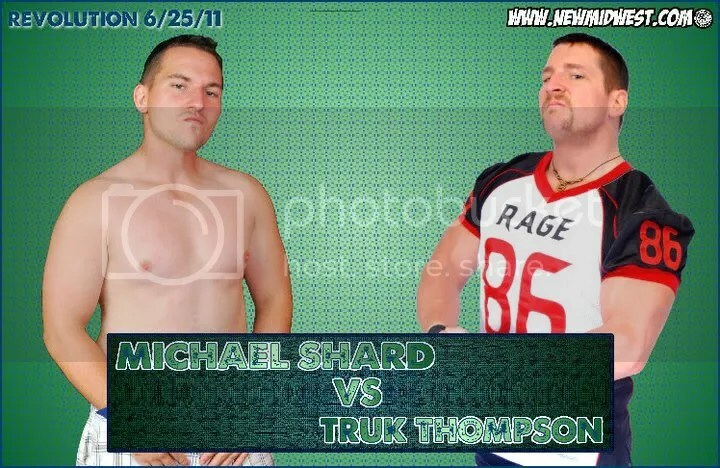 Dodgeball Superstar Tyler Priegel and Truk Thompson is on fire at NMW. 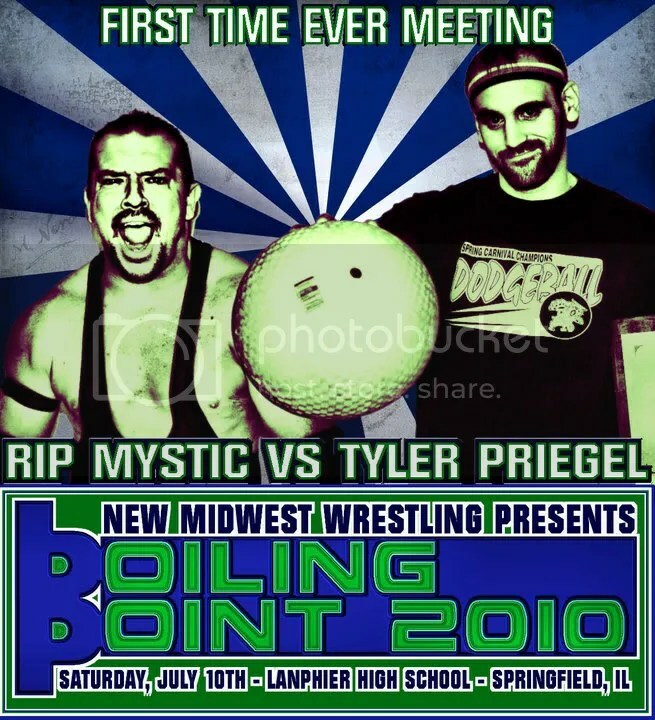 We caught up with the New Midwest Central States Champion the Dodgeball Superstar Tyler Priegel along with partner in crime Truk Thompson right after a grueling win during a Ladder match with Dan The Man. 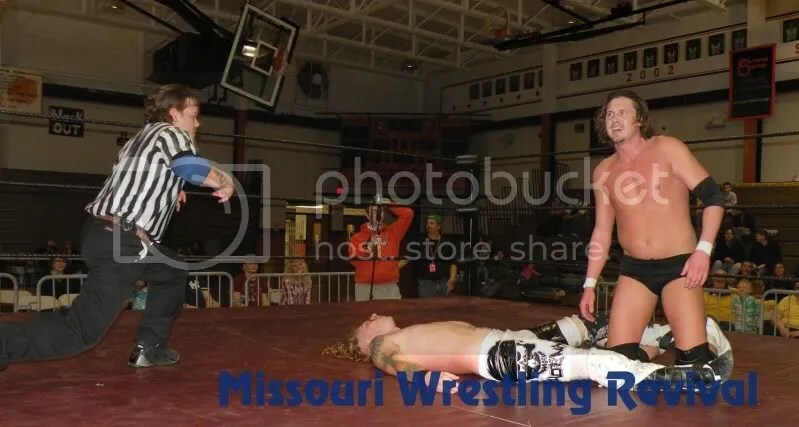 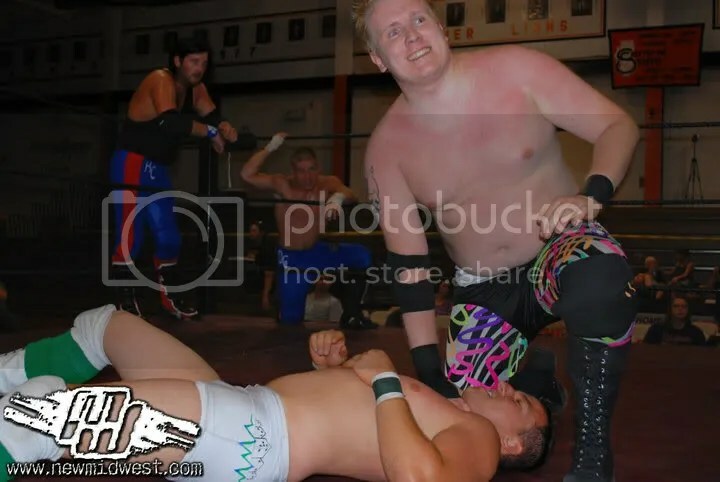 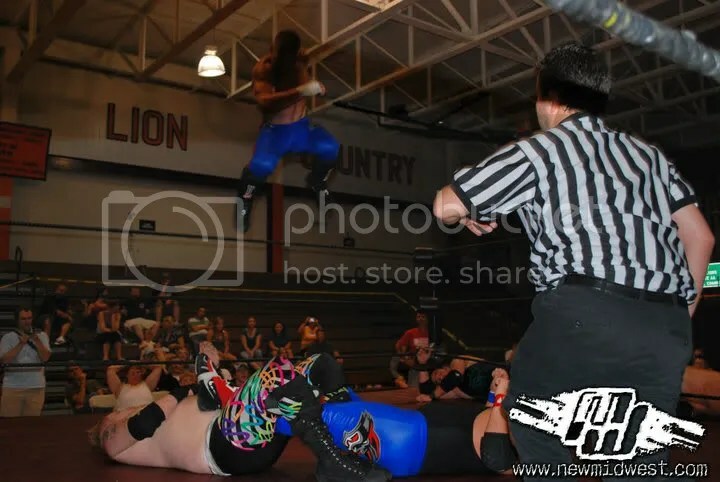 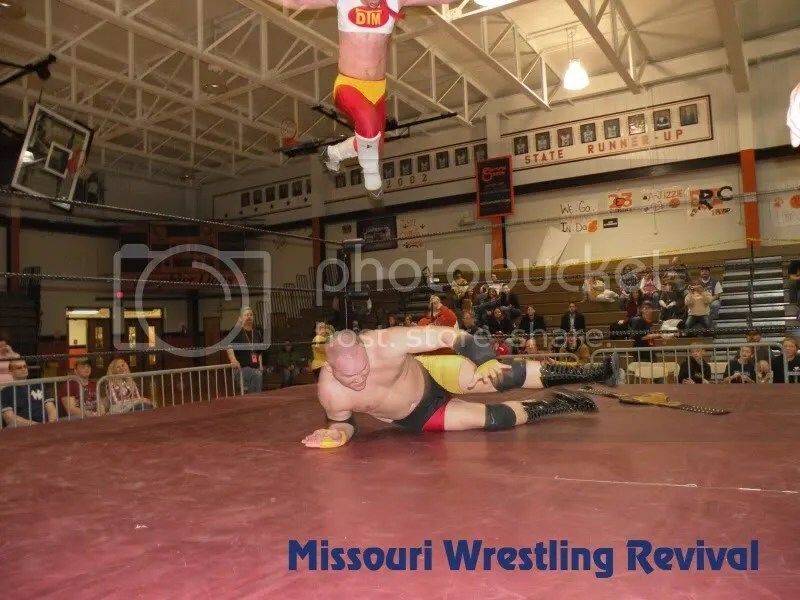 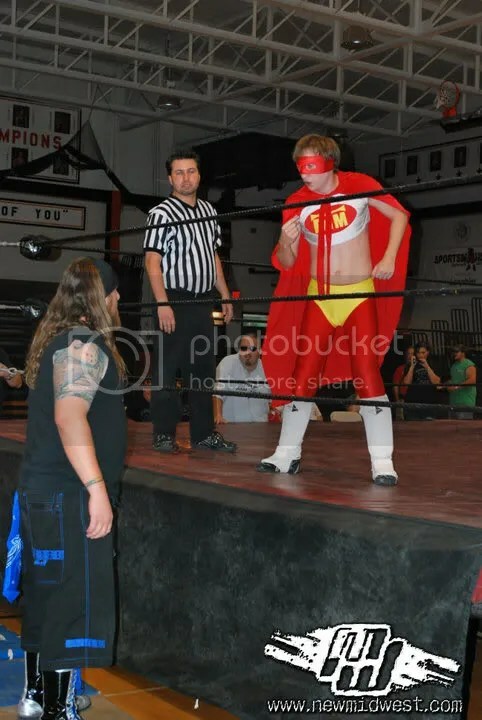 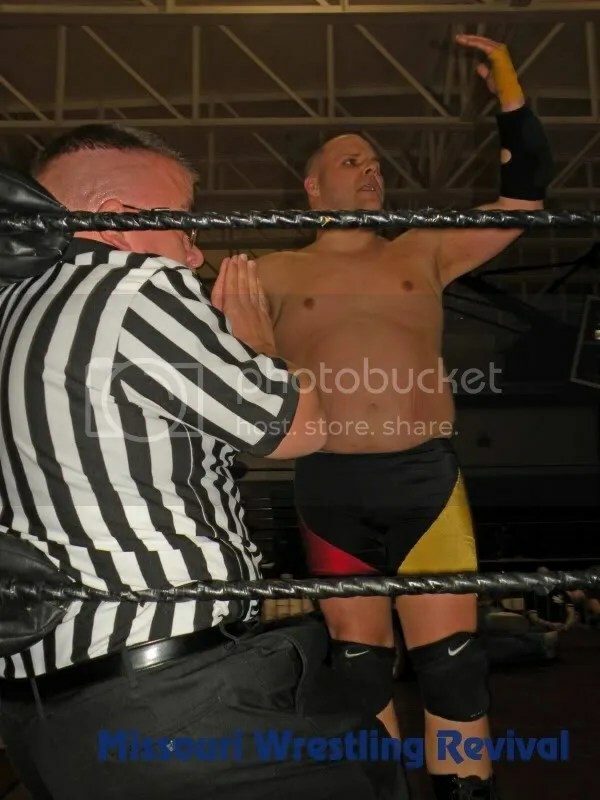 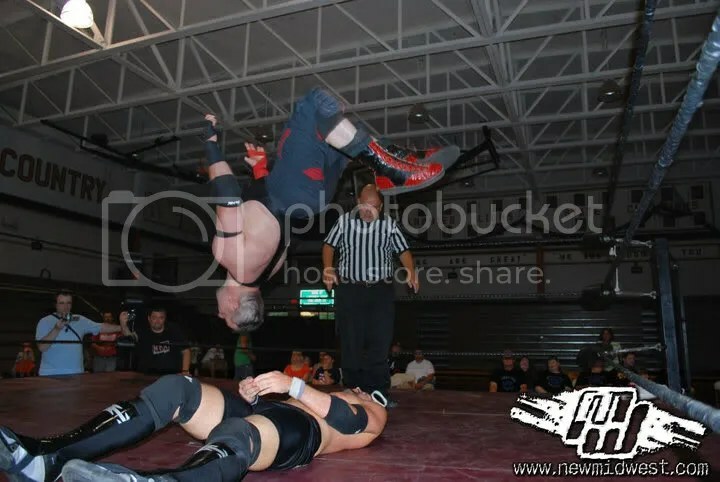 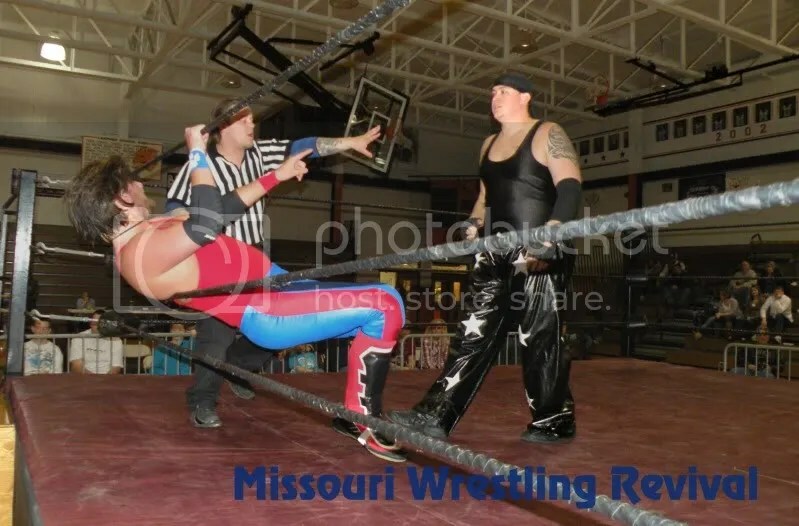 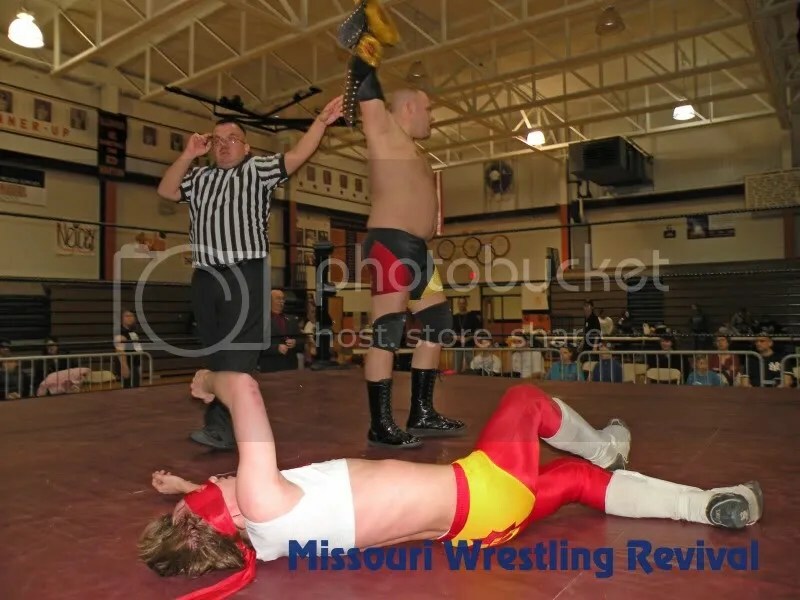 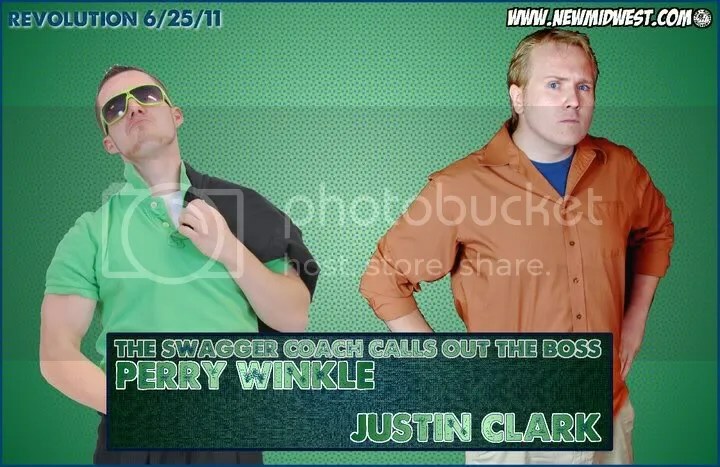 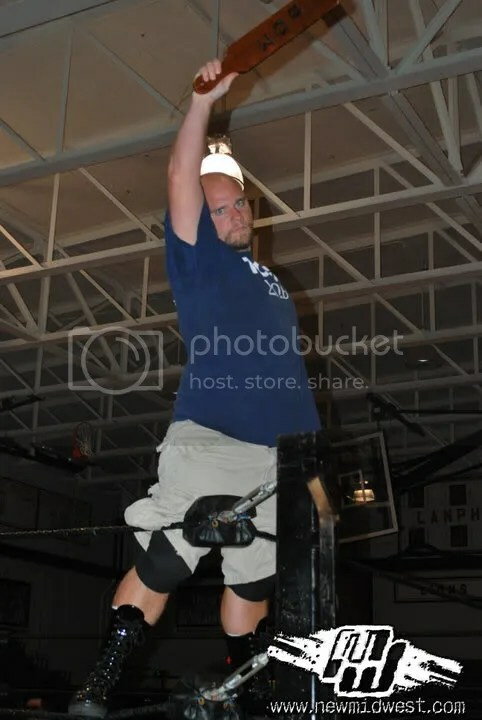 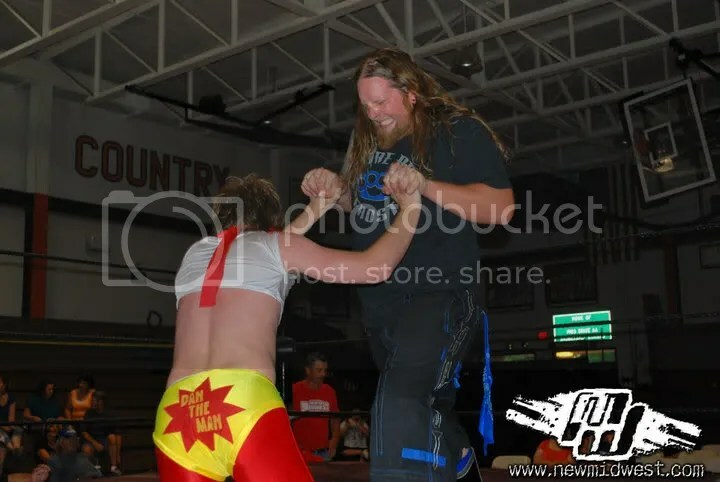 ﻿This past weekend Dan The Man defeated Tyler Priegel, Christian Rose and Truk Thompson to become NMW Central Illinois Champion in an exciting match that saw everyones favorite Superhero overcome the odds of the awesome power of Truk Thompson, the tenacity of Christian Rose and the former champ DODGEBALL Tyler Priegel. 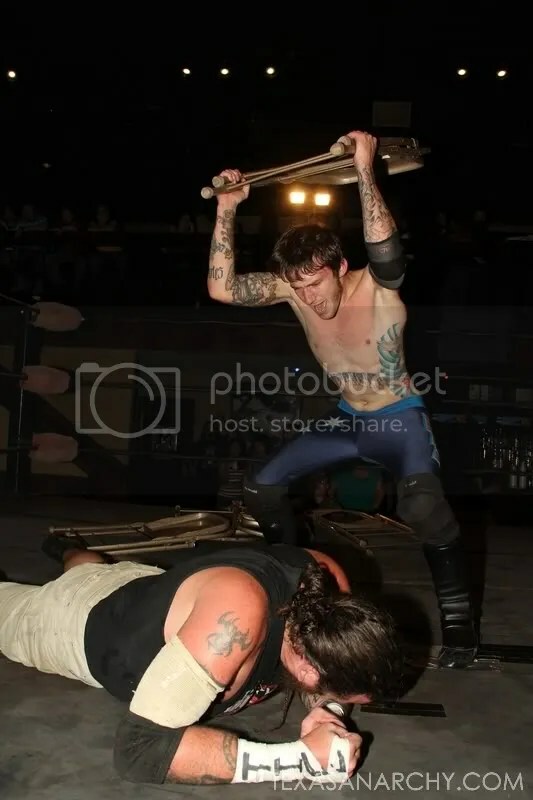 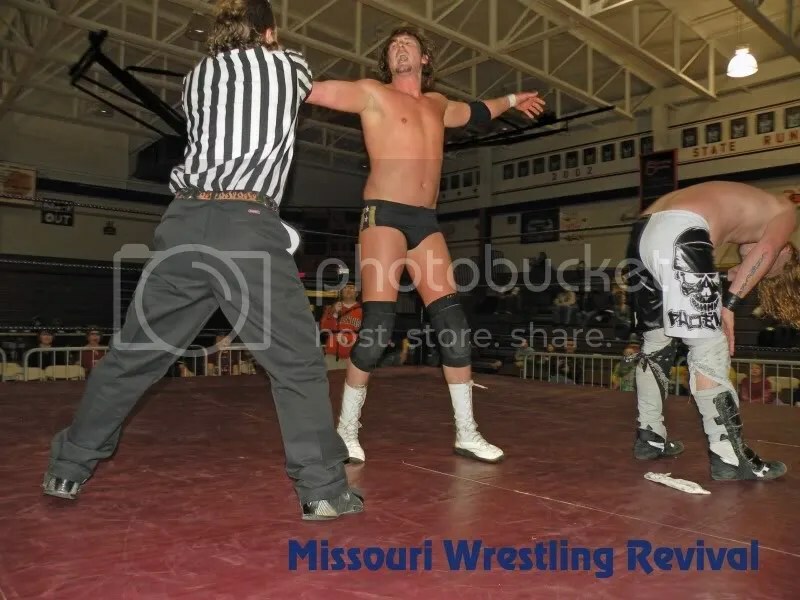 Look for more information at MWR from this memorable evening including weather of not “The Business Man” Bobby Houston was able to make Champion Ryan Phoenix tap out to win the NMW Championship and all the results of this hard hitting evening soon at MWR. 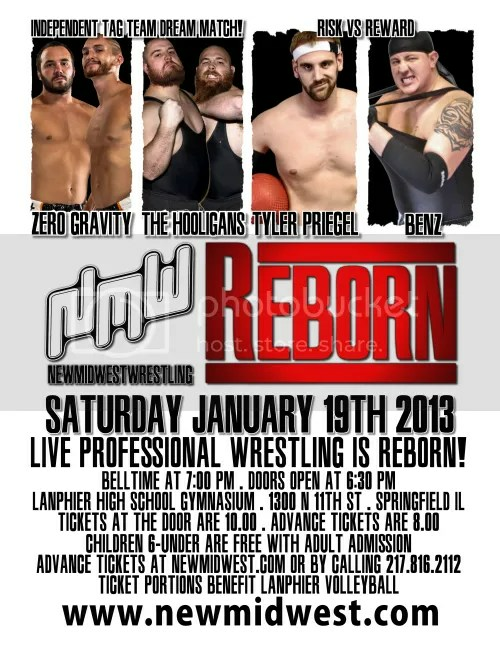 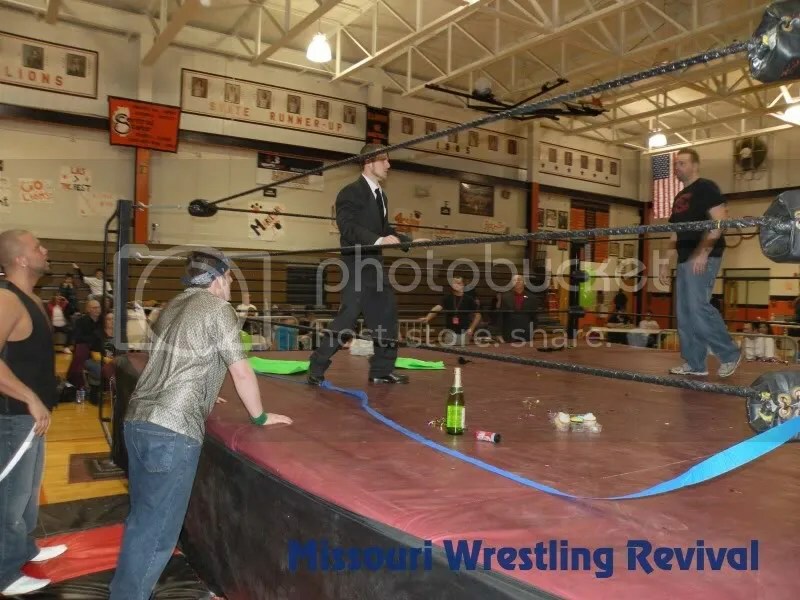 Last month we made our way to NMW for a great night of wrestling. 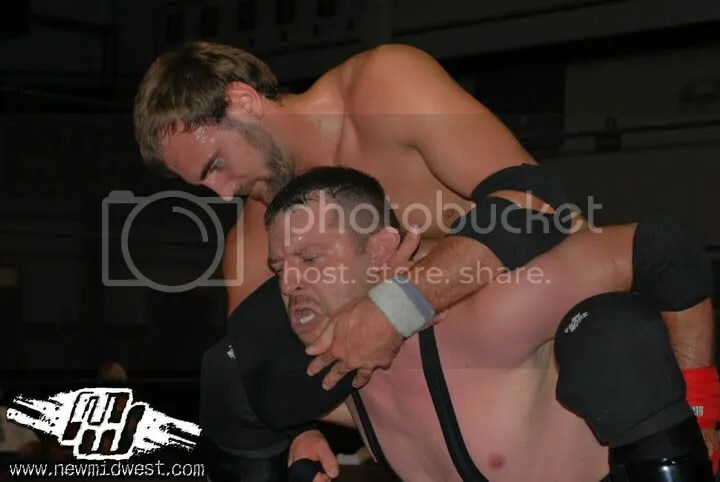 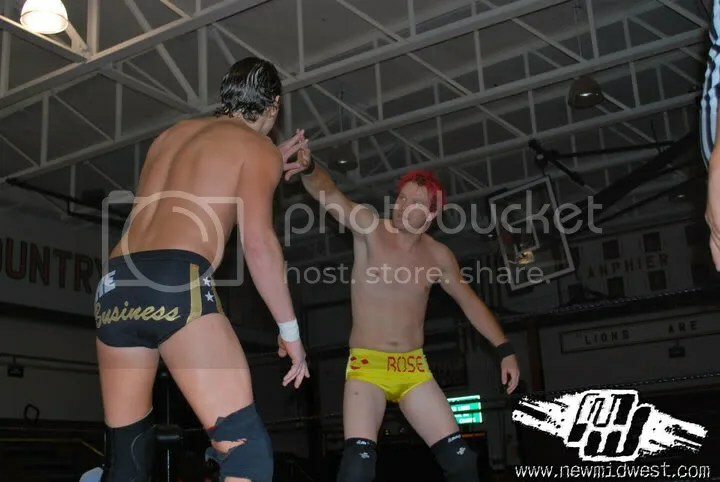 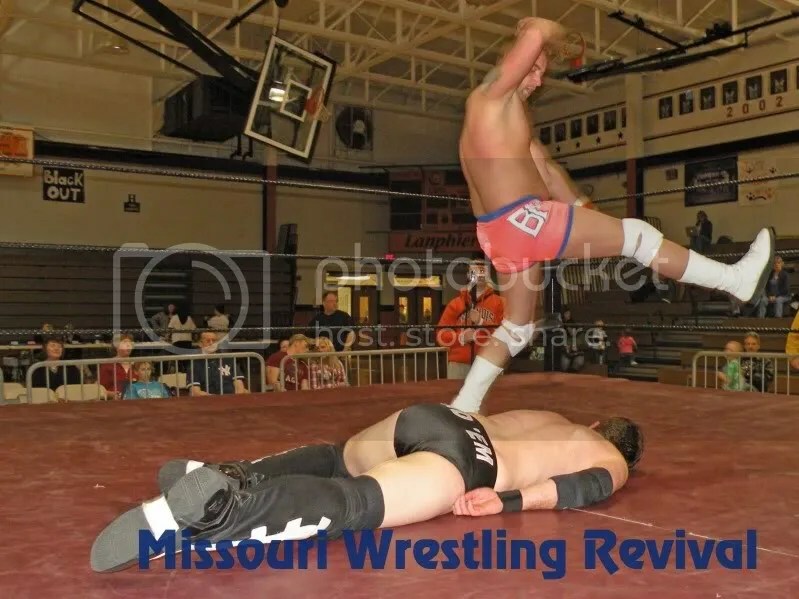 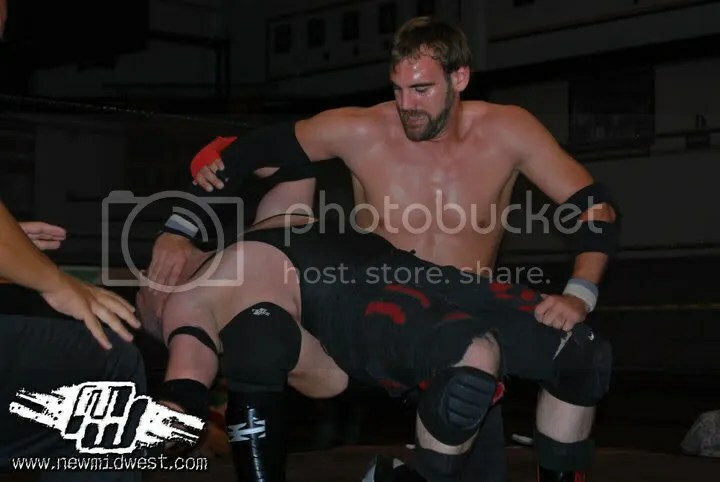 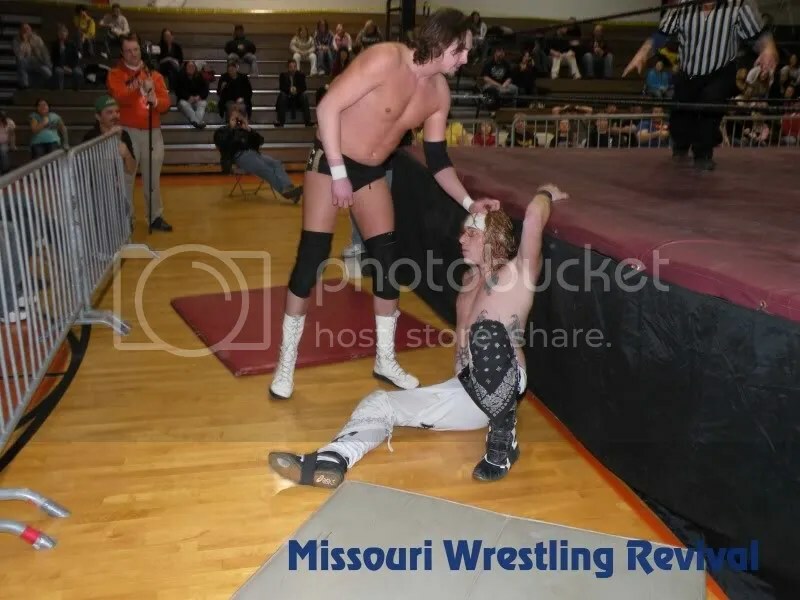 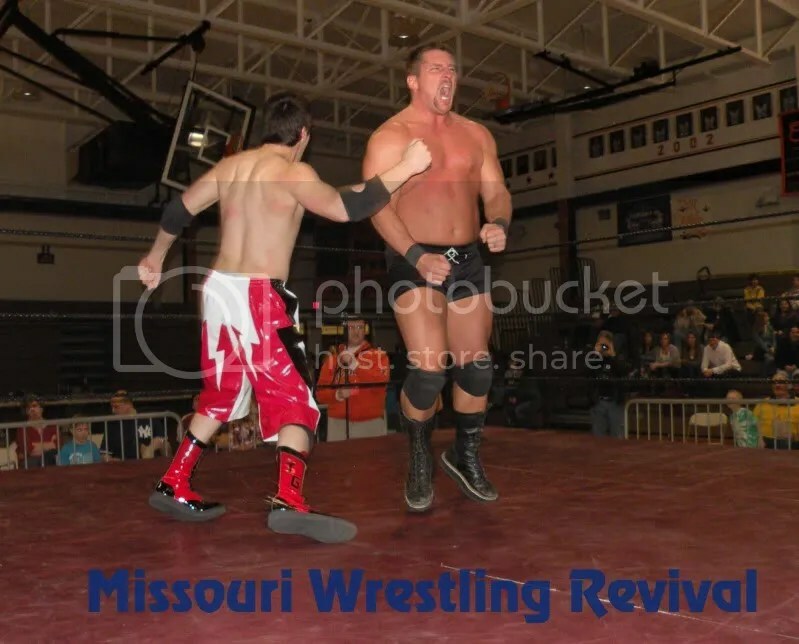 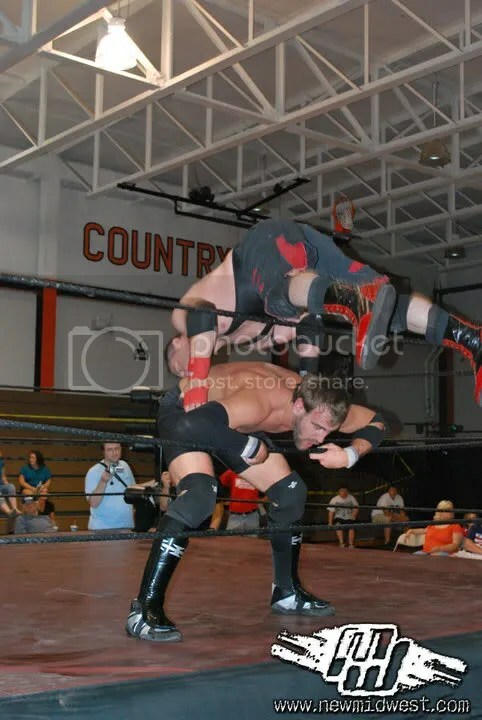 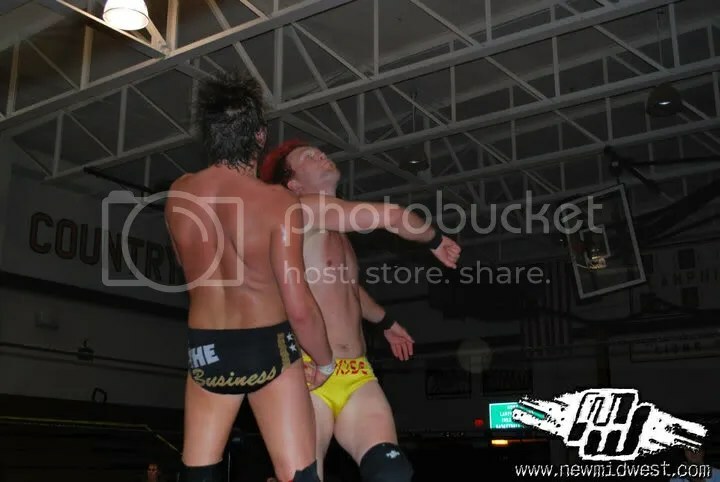 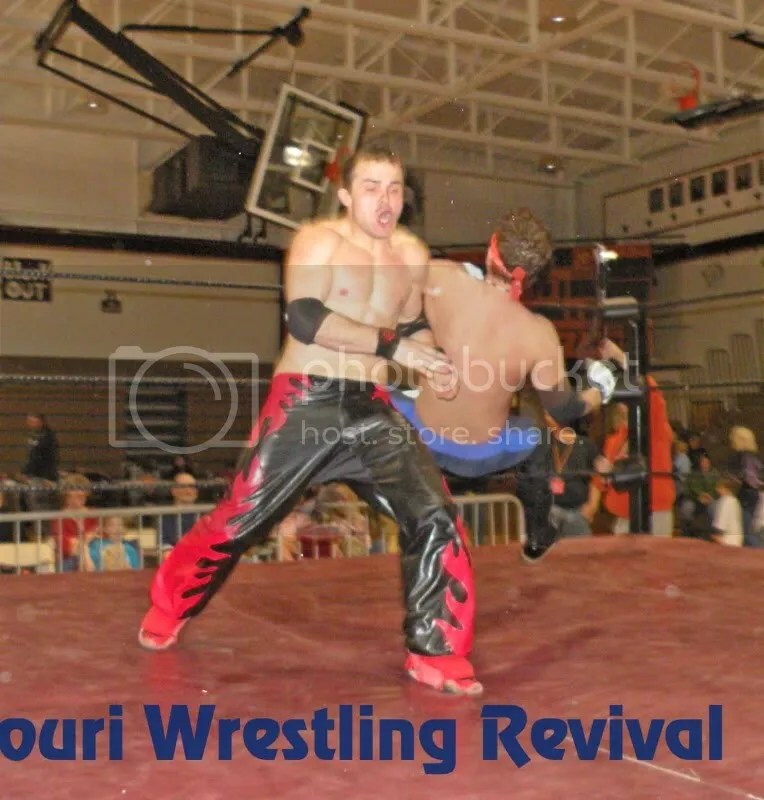 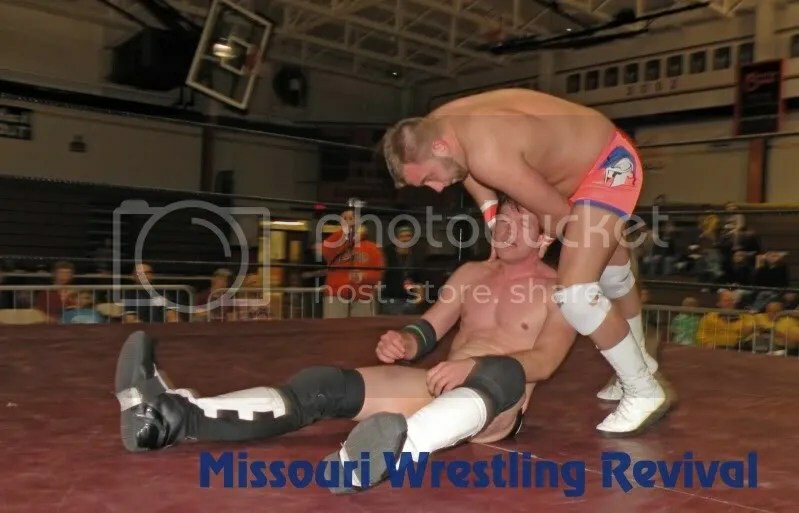 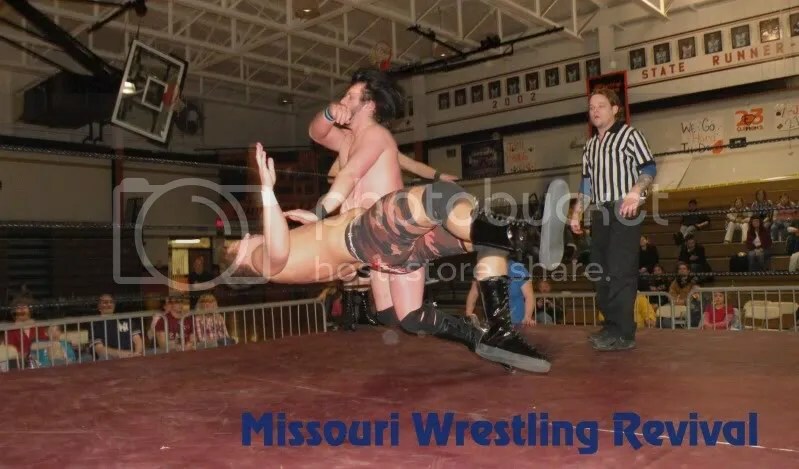 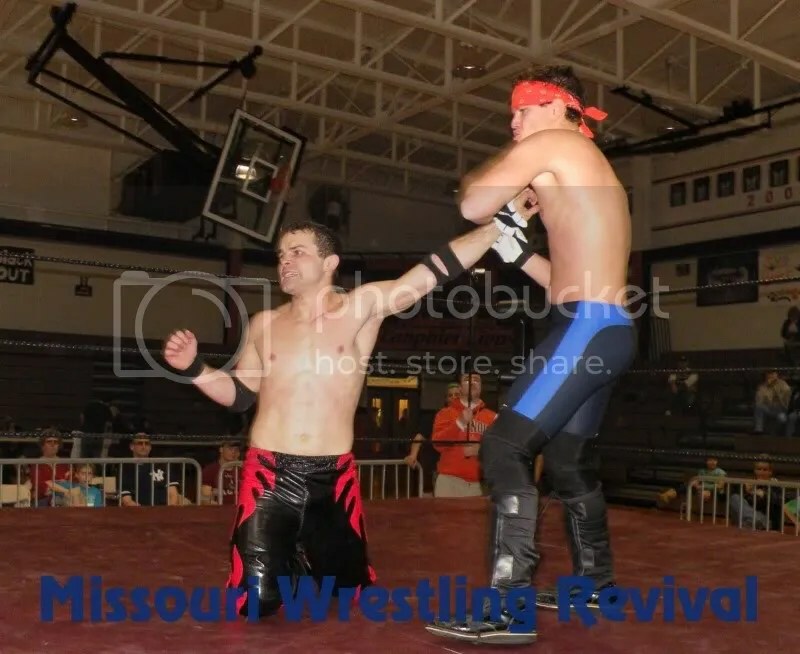 During the evening “The Young Thriller” Derek Moss went one on one against NMW CI Champ Tyler Priegel. 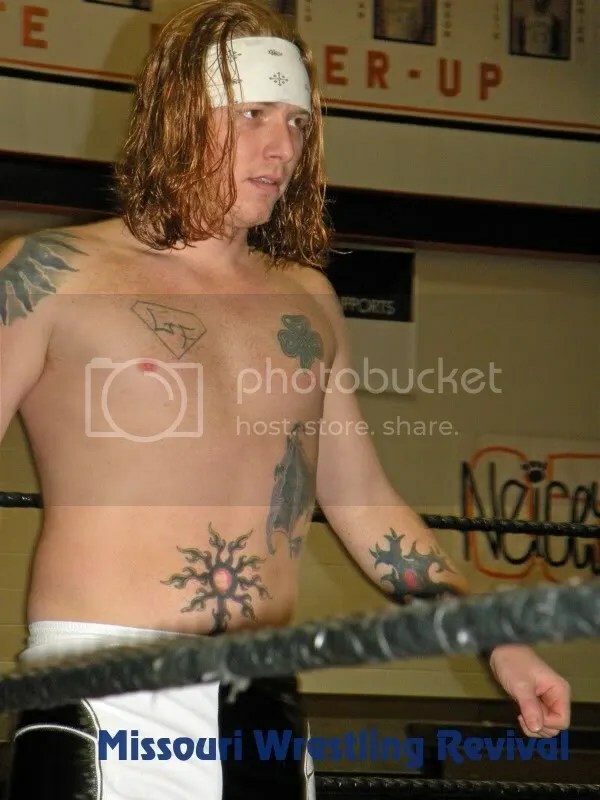 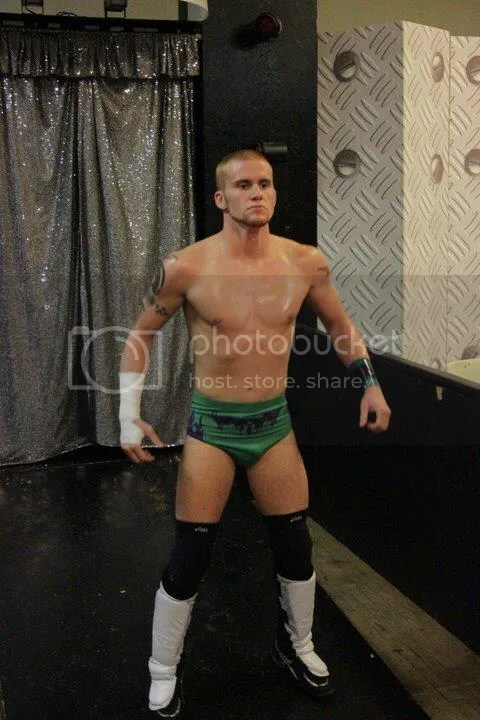 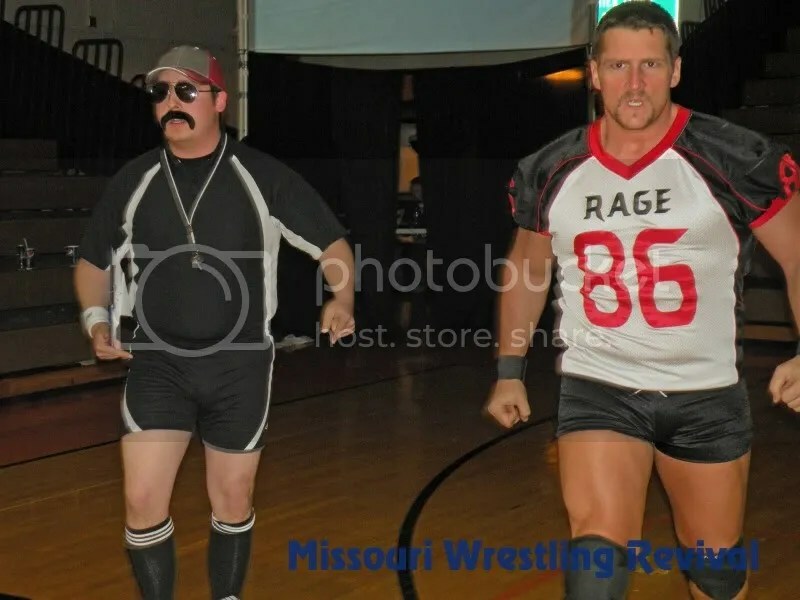 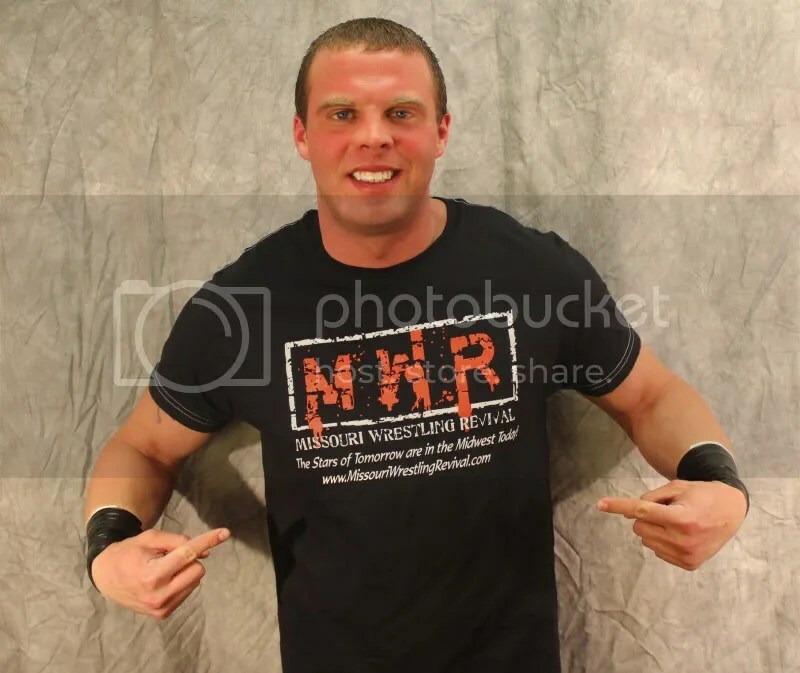 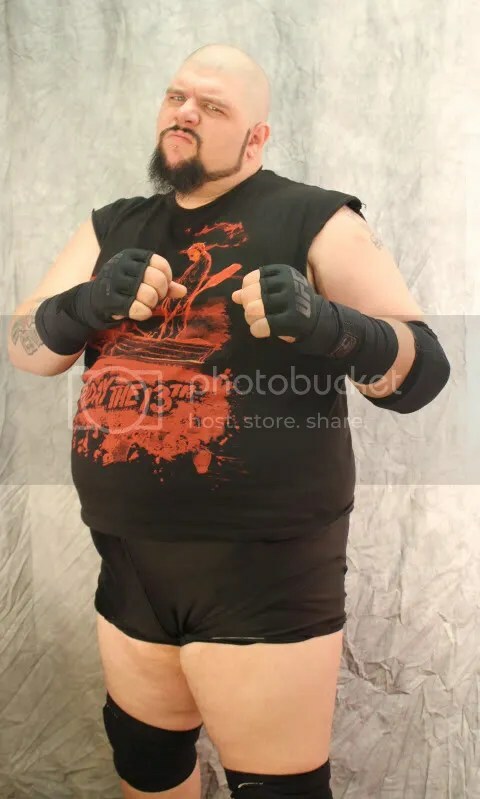 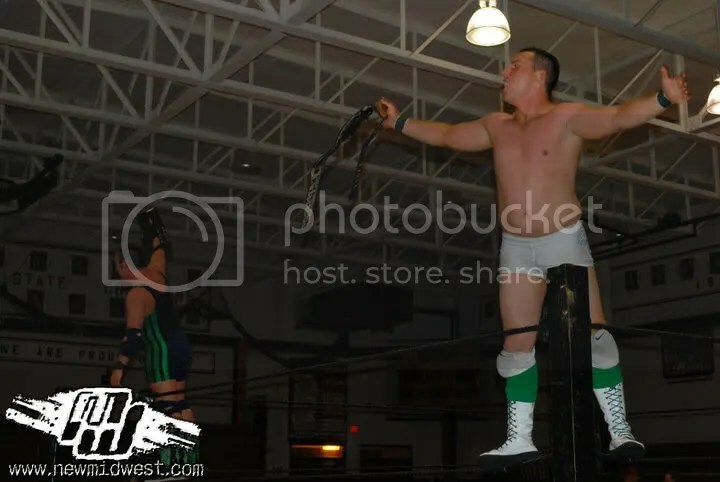 The Young Thriller wore the MWR T-shirt to the ring prior to his match where he put up a great effort before Bobby Houston interfered on Priegel’s behalf. 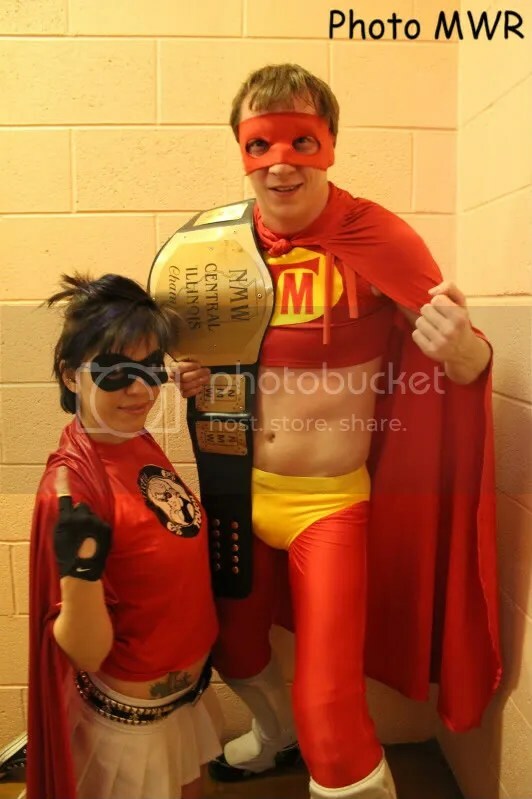 After the matches was done The Young Thriller was still groggy when the night was over but he showed some real heart by taking the picture with the young girl that caught his shirt. 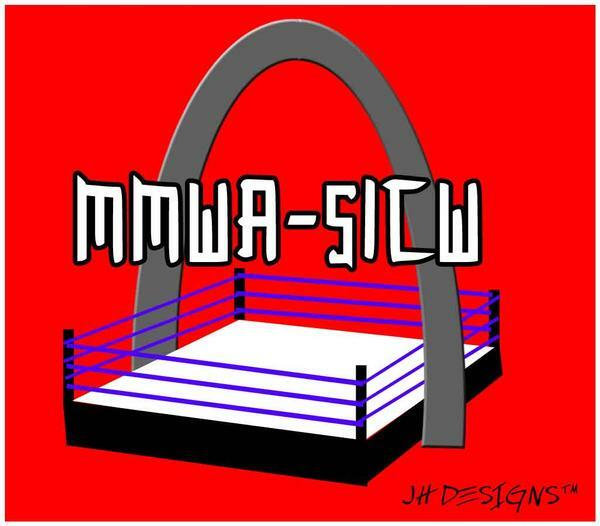 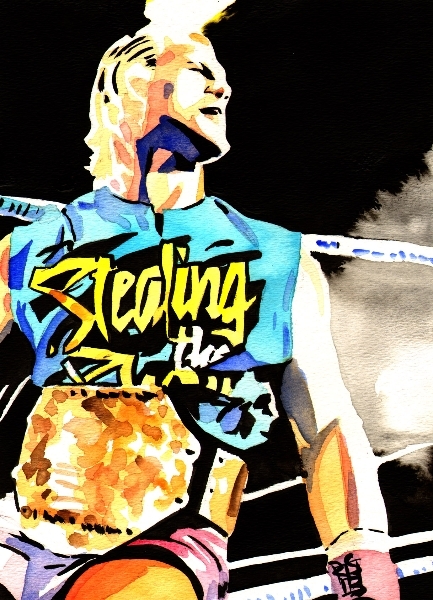 MWR Fans join us tomorrow in East Carondelet for your next chance to catch a MWR Shirt from a wrestling star. 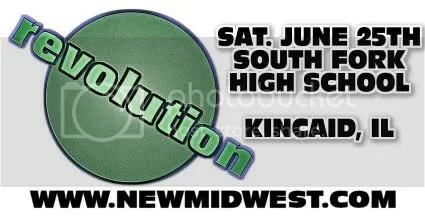 Join myself, Dubray Tallman and Mike Van Hoogstraat for this must see event this Saturday. 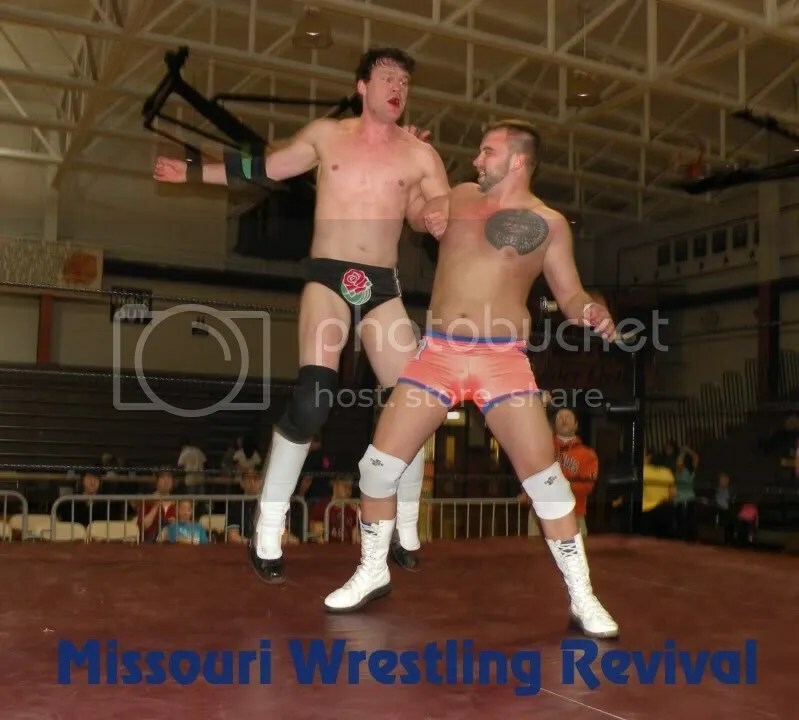 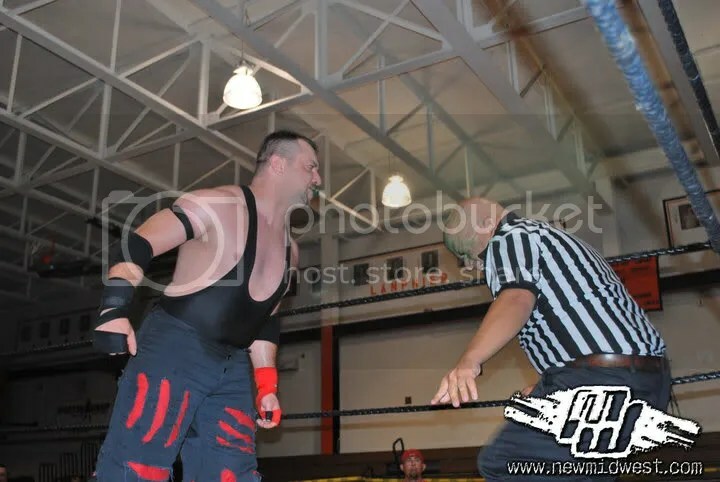 Look for a full recap of NMW’S January event as they prepare for another exciting e show next week as the Young Thriller looks to get revenge on Bobby Houston. 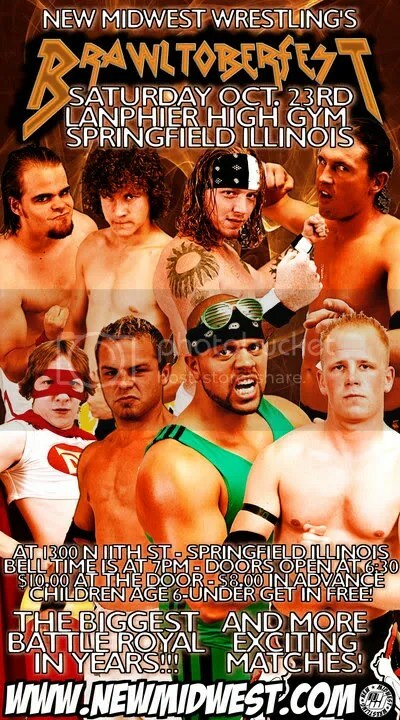 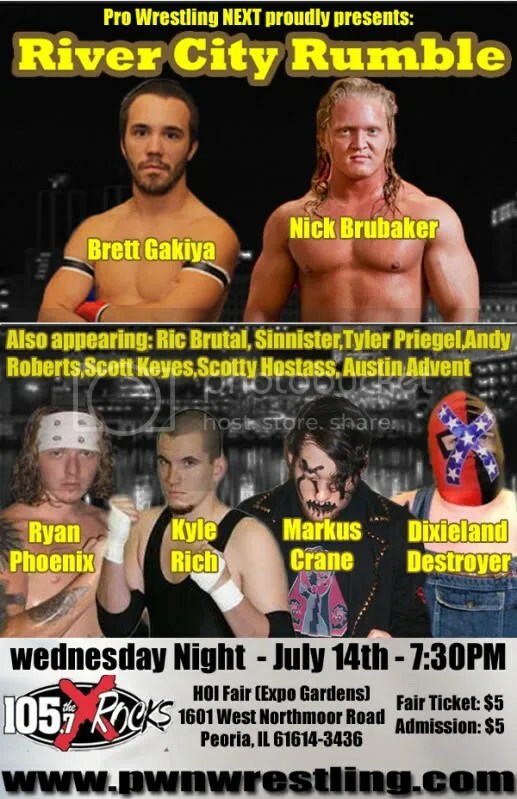 Wed Night July 14th at the HOI Fair (Expo Gardens) at 7:30pm Pro Wrestling will be featured in the entertainment tent. 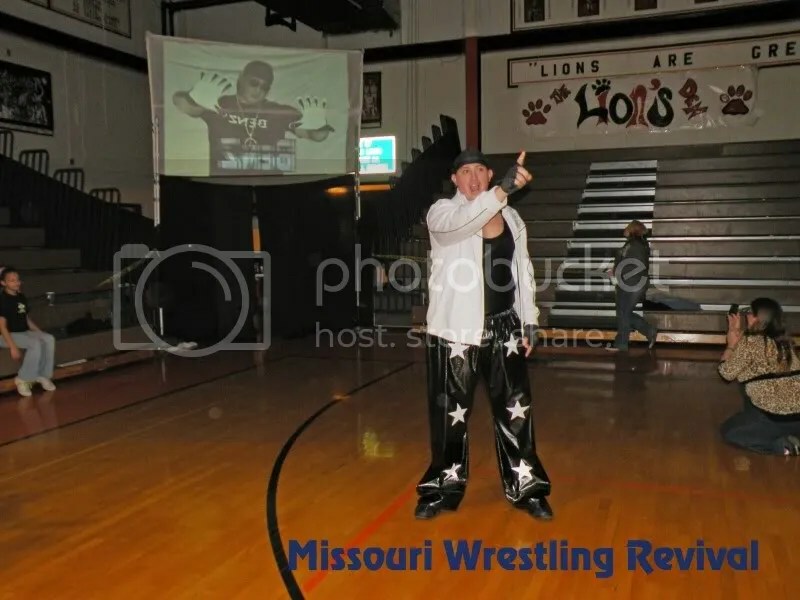 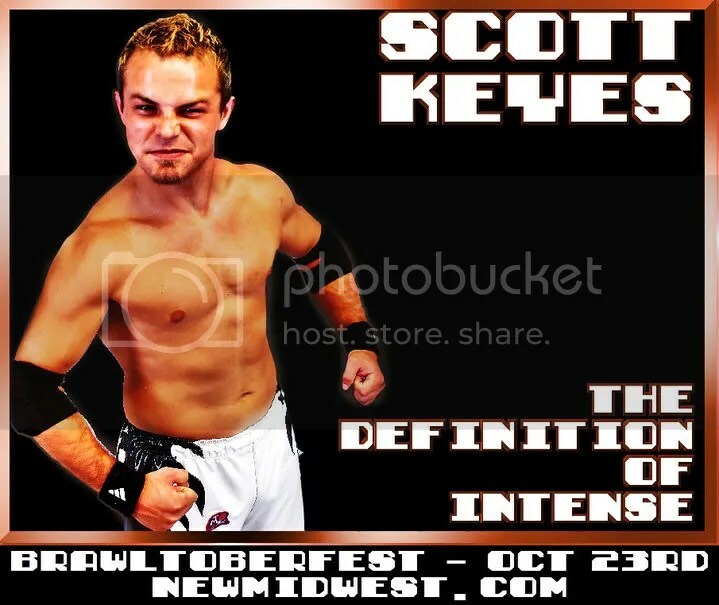 Cost is $5 to get into the fair and $5 to get into the wrestling. 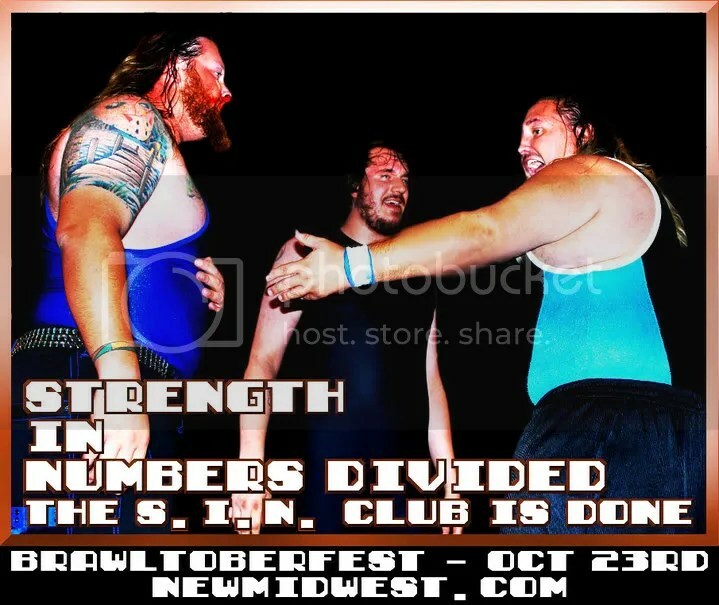 The Dixieland Destroyer makes a challenge to not one but two men. 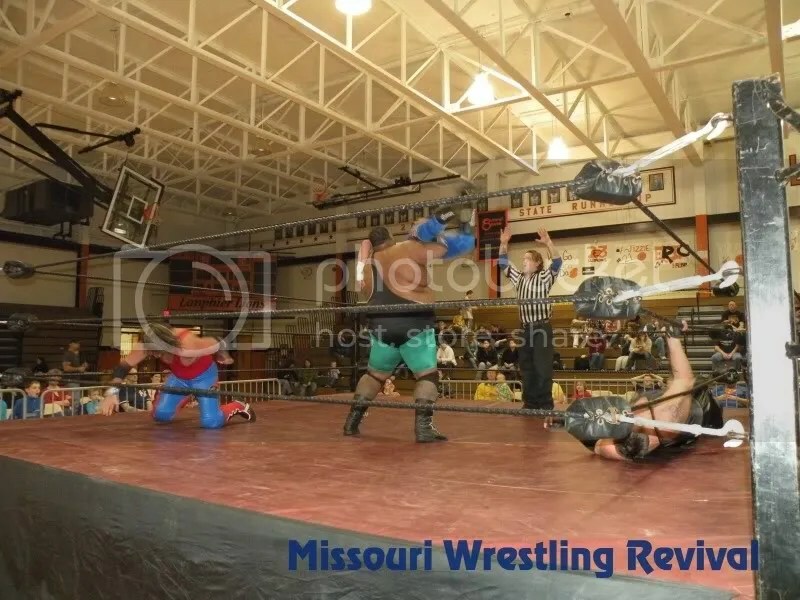 The winner or winners of each of these matches will be entered into the first King of the City Tournament later this fall.